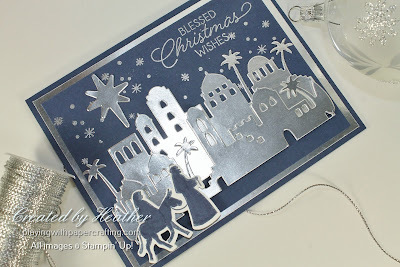 Playing with Papercrafting: The Night in Bethlehem Bundle - So Many Possibilities! 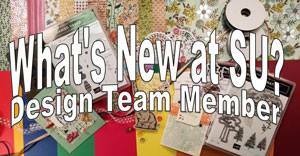 The Night in Bethlehem Bundle - So Many Possibilities! 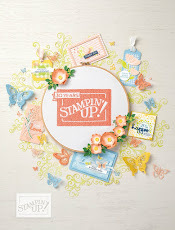 I'm working my way through all the amazing stamp sets and bundles I got with my Holiday Catalogue order and, although I've used my Night in Bethlehem bundle, I haven't used it to its fullest potential, so I was excited for the chance to do justice to it yesterday! What this set really needs is a full blown diorama - you know the kind we used to made in school in a shoebox! We would cut a whole in one end and then build a three dimensional display inside the shoebox, put the lid on and look through the peep hole in the end to view it. But it's a little hard to mail something like that so I set out to create a flattish diorama! 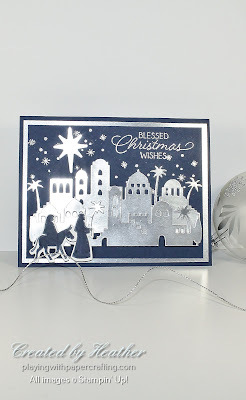 I had Night of Navy and Silver in my mind when I went to create this card, and that was the extent of the colour scheme, except for the Whisper White cardstock that Mary and Joseph were stamped on. 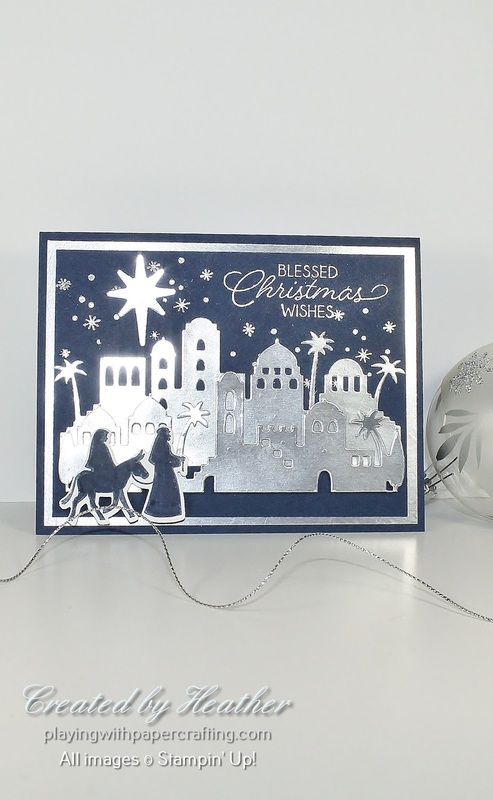 Some of the silver, such as the stars and the sentiment were heat embossed in Silver Stampin' Emboss Powder, while the rest was die cut from Silver Foil sheets. I wanted to be able to die cut the village buildings from the silver foil that formed the backing for the Night of Navy front panel, but, because of the palm trees, which extended out a bit further than the edge of the Night of Navy panel, that wouldn't work and I had to use another piece of Silver Foil sheet for these. I did, however, die cut the large star from the center of this panel. 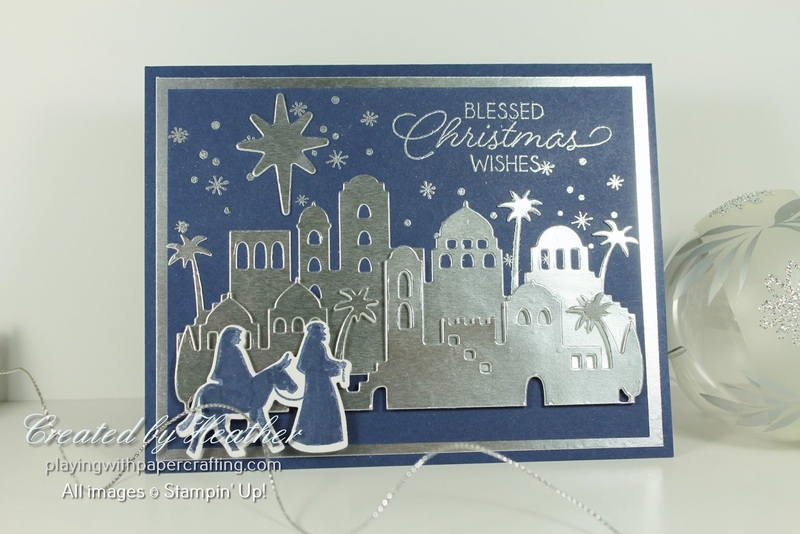 I tried Mary and Joseph stamped in Night of Navy on Whisper White or embossed in Silver on Whisper White and the Night of Navy was a better contrast so I used that design. 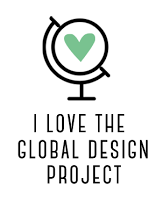 They have a coordinating die as well. I glued the back layer of the village directly to the Night of Navy cardstock. I added Mini Stampin' Dimensionals to the second layer of the village, and layered it over the first die cut of the village and it really gives it a 3D look without it sticking out too far. Mary and Joseph have another set of Mini Dimensionals to set them right in the foreground. Also mounting them lower on the card accomplishes that. 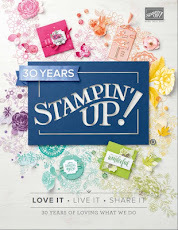 I hope you enjoyed those valuable lessons in blending with the Stampin' Blends and understanding the basic tools of the trade! 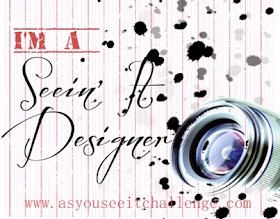 Contact me if you are interested in ordering!